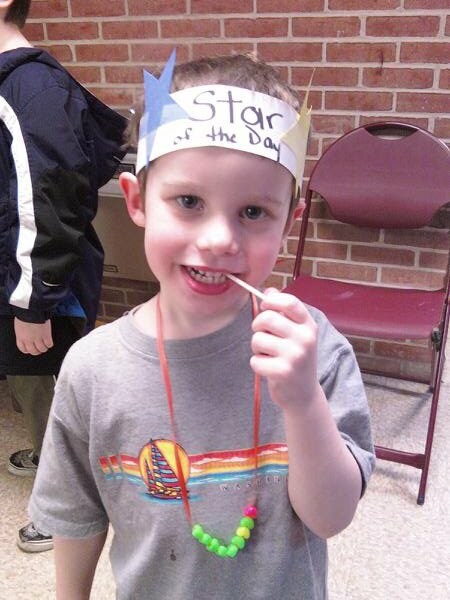 At Zane's current preschool he was the "Star of the Day" yesterday. He has been looking forward to this for months! When his original date was canceled because of the snow...oh it was a sad, sad day in our house. The general idea of the "Star of the Day", as I understand it, is to bring pictures and something special to share with the class. Basically your own personal show and tell. Zane just thrives in this type of spotlight...wonder where he got that from? Well this crafty mama could not send her Star out into the world without a little crafty goodness to share. I made him his own scrapbook to share with the class. 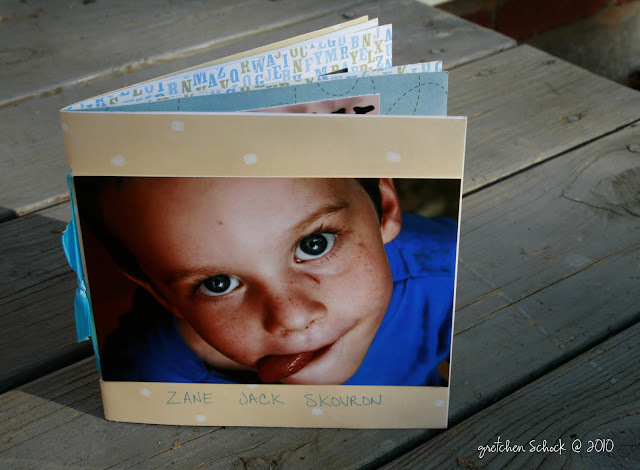 In it are pictures of the people in his family, a picture of Seattle (where he was born, it's very impressive to 4 year olds who have never rode on an airplane) and pictures of Zane doing things he likes to do...you know hold bugs and build sandcastles. He also got to take his very special stuffed animal/blanket, Tigger, and all day he got to carry Tigger around in school. This might have been the best part for Zane. 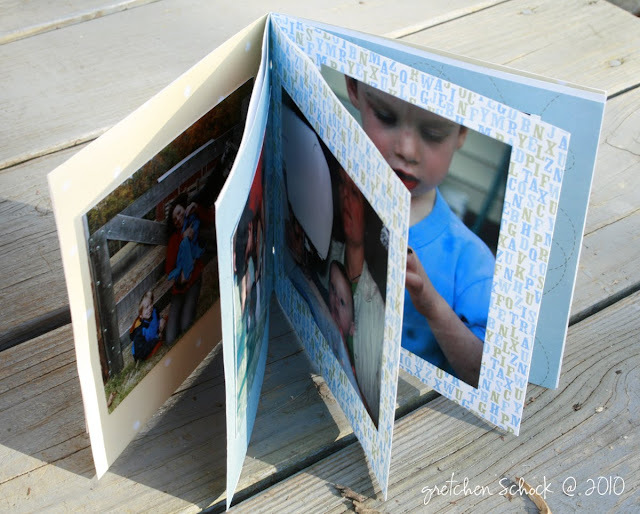 I made his scrapbook exactly how I made those little books for the kid's in Logan's class after our field trip. Great Job for the Star of the Day. You can see from the smile on his face he was way up in the sky yesterday. The book is great for him to show a little bit of his life.